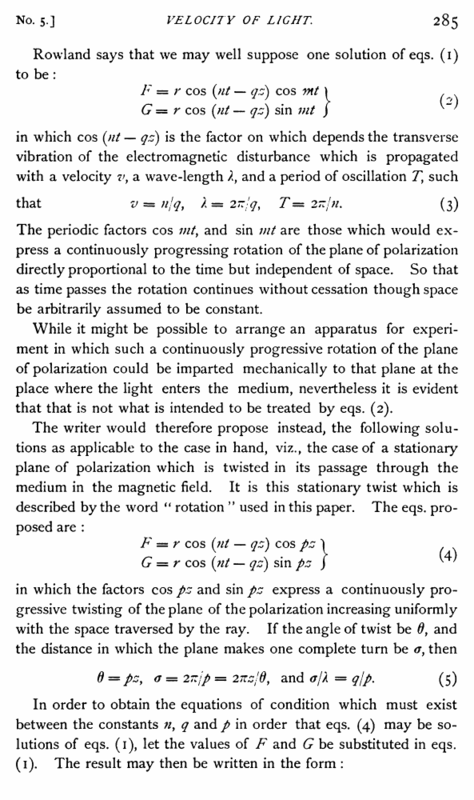 The periodic factors cos mt, and sin mt are those which would express a continuously progressing rotation of the plane of polarization directly proportional to the time but independent of space. So that as time passes the rotation continues without cessation though space be arbitrarily assumed to be constant. 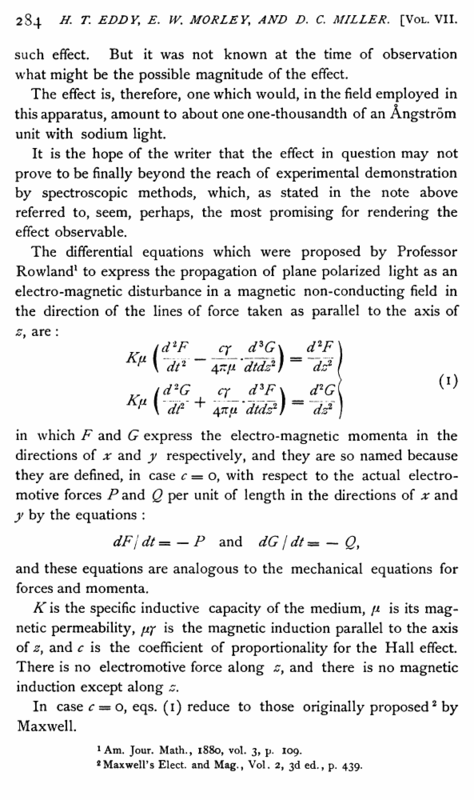 While it might be possible to arrange an apparatus for experiment in which such a continuously progressive rotation of the plane of polarization could be imparted mechanically to that plane at the place where the light enters the medium, nevertheless it is evident that that is not what is intended to be treated by eqs. (2).